The federal government says it will do whatever it can to protect Torontonians from the "vindictive and destructive" actions taken by the new Ford government. 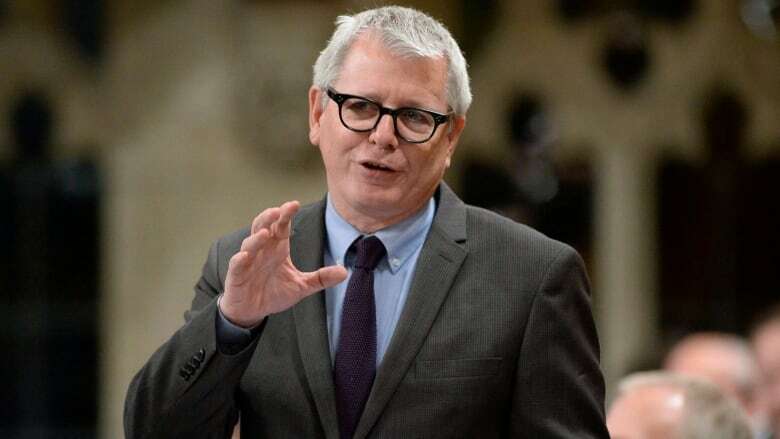 Adam Vaughan, a Toronto Liberal MP and parliamentary secretary for urban affairs, says Ontario Premier Doug Ford is plunging Toronto into chaos at a time when it needs stability the most. Ford announced Friday morning that his government will introduce legislation to cut the number of Toronto city councillors from 47 to 25, aligning city wards with federal ridings. Ford said having fewer city councillors will improve the decision-making process at Toronto's city hall, and save taxpayers $25 million over four years. It's a surprising move and one that Ford didn't raise while campaigning for premier. A failed mayoral candidate himself, and a single-term city councillor, Ford defended his decision by pointing to an election promise to reduce the size and cost of government. Vaughan said the proposal is "reckless, irresponsible" and tosses Toronto into a political storm when it needs leadership on critical files such as asylum seekers, gangs and shootings on the city streets, transit and housing. Vaughan said Ford is taking these actions because "he doesn't like Toronto" and accused him of "breaking" the city. He insisted the city is too important for the federal government to "stand idly by and let this happen." "We may not be able to change the electoral map but you can be damn sure we're going to make sure the city of Toronto is protected in terms of its role in providing all kinds of opportunities and a home for millions of Canadians," said Vaughan. "If we have to work around Queen's Park, we will work around Queen's Park. Because at the end of the day Torontonians are Canadians too, and the Canadian government has a responsibility to protect Canadians, especially when people are taking such vindictive and destructive actions towards them." The Liberals have shown a penchant for finding ways to work around provinces. The government's vaunted $40-billion national housing strategy provides some money to provinces and territories, but delivers the bulk of federal funding through the Canada Mortgage and Housing Corp. to provide more direct cash to cities. The Liberals first announced the funding bypass in the 2017 budget, arguing it was needed to ensure cities could quickly access and spend money on the country's stock of aging affordable housing. Infrastructure money has also been delivered through programs run by the Federation of Canadian Municipalities. In reaction to Ford's decision, the Prime Minister's Office said the government "will continue to be a strong partner with the City of Toronto." Federal NDP Leader Jagmeet Singh accused Ford of abusing his power and interfering in Toronto's municipal elections. "...you can't say you're for the people and not consult them before slashing their elected representatives. We need to stand up to this undemocratic move," Singh tweeted.